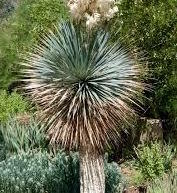 (Red Yucca, Red-flowered Yucca, Texas Red Yucca) Evergreen succulent with a bunching habit, native to American SW and Northern Mexico. 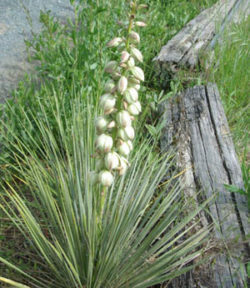 The plant produces a fountain of narrow leaves,grey-green, to 4 feet long, with fibrous margins. Bright red, tubular flowers on multiple flowering stalks to 6 feet. Excellent for landscape use, especially around structures, where a deep and gravelly bed will assure good habitat for evergreen and sporadically very colorful accents. Good nectar producer. Hummingbird attractor. The leaves contain an especially fine fiber that can be retted out and used in paper production. Strong, resilient, and nontoxic, these fibers can be used in filtration, teabags, and also as a base fibre for recycling short fiber papers. 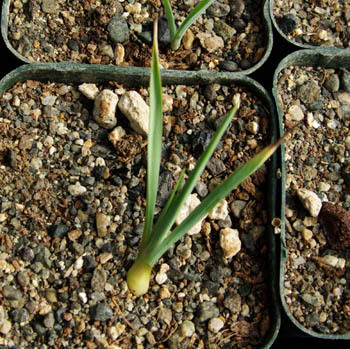 Plant prefers full sun, fast draining soils and is extremely drought tolerant. Sow seed flat, just below surface of cactus mix, and water daily and keep very warm and in the sunlight until germination, which is rapid. 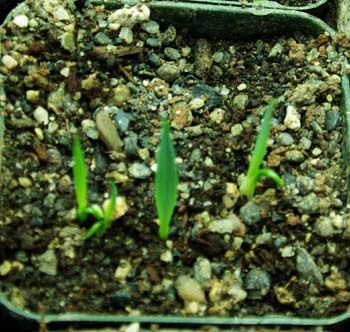 After germ, back off on watering and grow on seedlings until they attain sufficient size to pot up. 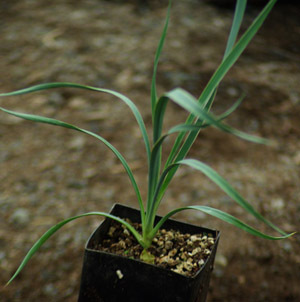 Transplant to landscape only after plants have reached sufficient size to fill a gallon pot with roots.